When you are flying out of the Sydney International and Domestic Airports early in the morning or are arriving back to Sydney late at night then it is often best to stay in a hotel in and around the Sydney Airport precinct. 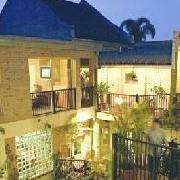 If this is what you want to do then Airport Hotel is the perfect place for you. Here you will be able to can choose from any one of the following airport hotel accommodation options and be able to get special discount rates for last minute bookings as well as future reservations. 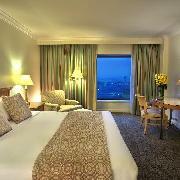 The Quality Hotel CKS Sydney Airport is well positioned right next to the Sydney International and Domestic Airports. The property also has numerous guests facilities for your convenience including lounge bar, conference centre, guest laundry, lift, restaurant, room service, airport shuttle and 24 hour reception. Further recreation facilities include tennis courts and even a golf course nearby. The newly renovated bar and fully licensed restaurant are ideal for drinks and affordable dining for both business and leisure travellers alike. The discount provided by the Stamford Plaza Sydney Airport Hotel gives travellers a great place to stay within close proximity to the Sydney Airport. The property also comes complete with a range of modern amenities such as lounge bar, business centre, conference centre, direct internet access, disabled facilities, faxing facilities, guest laundry, fitness equipment, lift, restaurant, room service, sauna, spa, outdoor swimming pool, tour desk, airport shuttle, 24 hour reception and daily housekeeping. The recently refurbished rooms and fantastic facilities are perfect for those requiring quality accommodation at the Sydney airport. 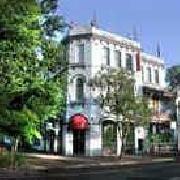 The Billabong Gardens Hotel Sydney is the perfectly situated in Egan Street, which is a side street of King Street the busiest restaurant street in Sydney. This means that by staying at the Billabong Gardens Hotel you will not only be 15 minutes from the Sydney airport but also right next to lots of fine dining, boutique shopping, Sydney University, the RPA Hospital and all of the bustling Newtown night life entertainment. This combination of things makes the Billabong Gardens Hotel ideal for leisure and business guests who don't want to spend the earth. The Sydney Park Lodge Hotel is the perfect location for leisure and business guests conveniently located only 12 minutes from the Sydney airport and 5 minutes from the Sydney CBD. With affordable and cheap hotel accommodation combined with a position just a short drive from the historic Rocks precinct, Kings Cross entertainment, the Sydney Opera House and Darling Harbour the Sydney Park Lodge Hotel is a great place to stay for those people travelling to Sydney on a budget. 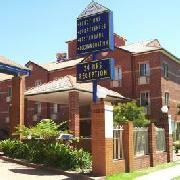 Hotels and Motels located close to Sydney Airport offering special discount accommodation for stays longer than 1 night. You can book your airport accommodation up to 12 months in advance or at the very last minute.